VOTE FOR US! 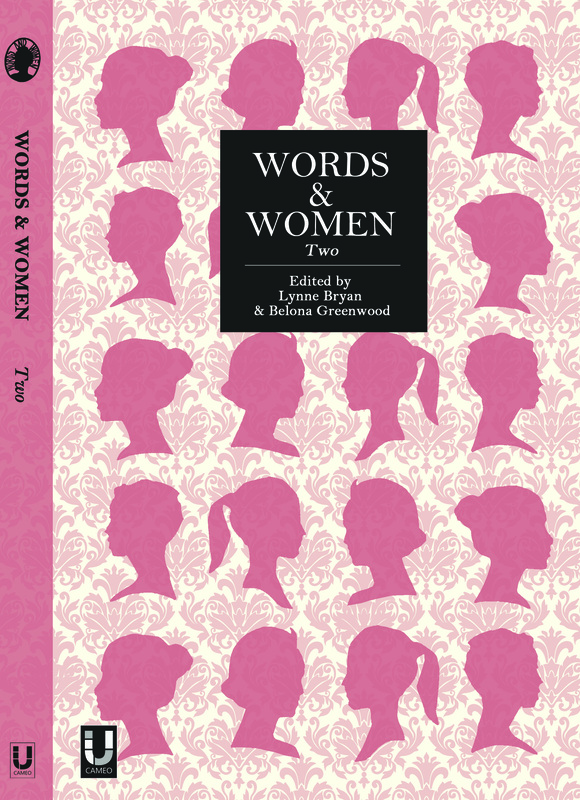 WORDS AND WOMEN SHORTLISTED FOR A SABOTEUR AWARD! Words and Women are delighted to announce that they have been shortlisted for a National Saboteur award in the ‘best one off event’ category. The nomination is for this year’s International Women’s Day celebration held on March 8th at the Forum in Norwich. The literary event with a difference saw not only the launch of Words and Women: Two, a second anthology of contemporary women’s writing from the East of England but also the performance of four newly commissioned texts for ‘About,’ an Arts Council supported project which explores the relationship between women and place. 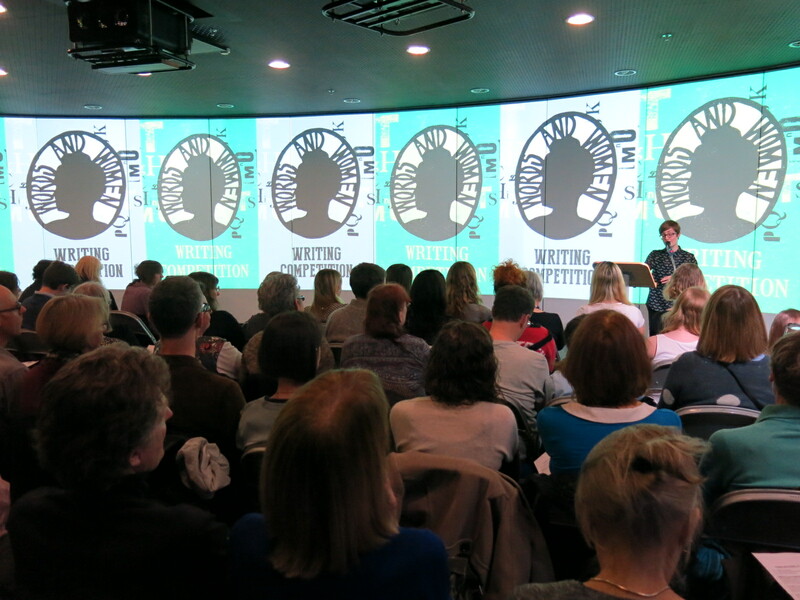 Words and Women’s trademark warmth, eclecticism and vibrancy was on show in Norwich as organisers Belona Greenwood and Lynne Bryan hosted a range of outstanding women writers from the region, reading their winning entries featured in the anthology. Words were intermingled with live music from Anna Mudeka and Sithabele Dube. There were stunning performances from actresses who took on the roles of 16th century Jane Sellars, found ‘idle at Trowse,’ a woman on a pilgrimage of grief, a railway woman’s quest in wartime Britain and a young prostitute, Anguish, incarcerated in a 19th century lunatic asylum, directed by Adina Levay of Chalk Circle Theatre Company and supported by the Arts Council. 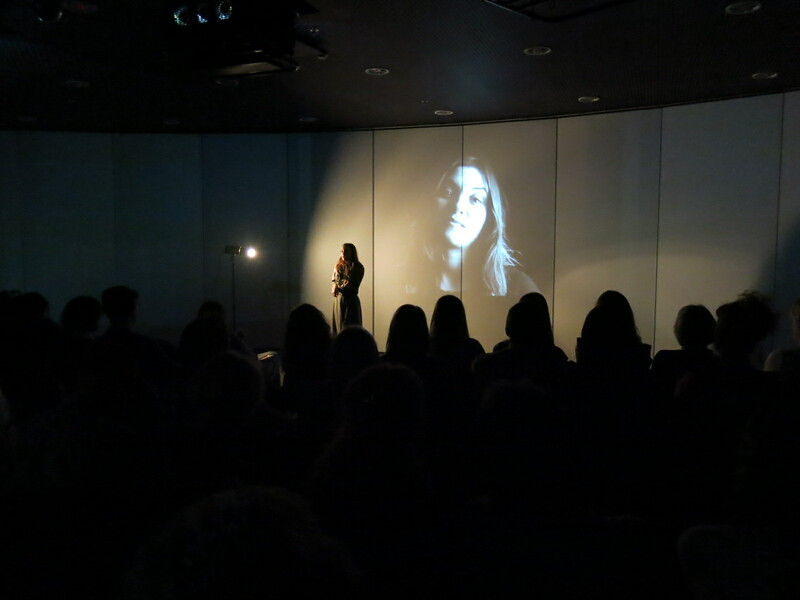 ‘The event drew a great audience of men, women and children, a range of ages and people travel from as far away as Peterborough and Cambridge to be with us.’ Said Belona Greenwood. Rozzy Burt as ‘Anguish’ in Counting the Pennies by Tess Little, one of the ‘About’ commissions supported by Arts Council England. Lora Stimson reading her winning story, ‘Cornflake Girl’ at Words and Women on IWD, March 8th..
‘Words and Women: Two is an excellent anthology of imaginative and superbly written pieces.’ RM Bond-Webster, Eastern Daily Press. ← Hotel magazine: Issue 1, Submissions and Hotel online.